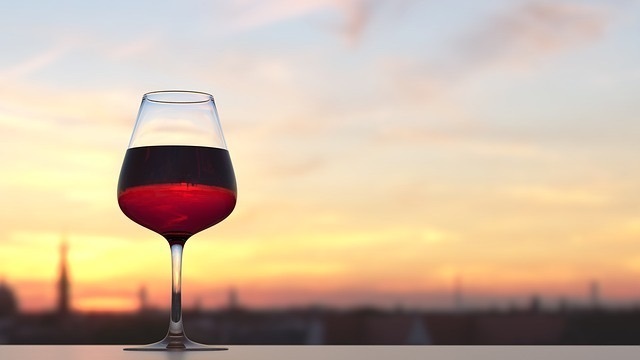 Wine collections come in all forms, from ones devoted to Bordeaux, Chianti or Rioja wines to others that focus on Cabernet Sauvignon, Syrah or Riesling. While some wine connoisseurs remain committed to their favorites, others prefer to mix it up with exciting new acquisitions – like red and white Burgundy. Burgundy wines are rich in complexity, and fall into two types – red Burgundy, which is 100 percent Pinot Noir, and white Burgundy, which is 100 percent Chardonnay. The appellation each wine comes from determines its overall aromatic excellence and final flavor notes. Wine professionals can spend years - even decades - learning about Burgundy's appellational differences and how these factors translate to the finished product. This article gives a high-level "101" look at the region for those just entering Burgundy territory for the first time. With a location in east-central France, the Burgundy wine region is primed for terroir excellence. Most of the wine regions appear along the slopes and valleys of the Saone River, which offers a unique blend of oceanic, Mediterranean and continental climates. Several of the regions start at Dijon and move down to Lyon, along with the more isolated Chablis region to the northwest. Altogether there are five main growing regions. This makes for diverse growing climates, with cooler regions to the north, and warmer, drier regions the further south you go. Interestingly, the Burgundy region is just one-fifth the size of the Bordeaux region, but it still has about 74,000 acres of exceptional vineyard. Burgundy produces some of the best wines in the world, with sought-after names including Domaine de la Romanee-Conti, Leflaive, and Georges Roumier. The Burgundy region is rich in soils that provide the ideal growing medium for Pinot Noir and Chardonnay grapes. From the marl limestone that Pinot Noir favors, to the clay-marl limestone suitable to Chardonnay, the soils in Burgundy are perfectly suited to the task of producing grapes of the highest quality. Winemakers have long since known how to make the best use of these excellent soils and ideal climate conditions. Vineyards throughout the Burgundy region often appear on slopes for good drainage and sunny exposure. The northerly wind and ideal rainfall ensures that vines grow lush without experiencing lingering moisture. Burgundy spans diverse valley and slopes, offering unique microclimates within its five main growing regions. Unlike other parts of France where appellations correspond with a producer, Burgundian appellations correspond to the vineyards themselves. There are 84 appellations found throughout the region. The mix of soil type, sun exposure and other factors means that any given vineyard could have several appellations to its name – sometimes just inches apart! Vineyards here lie in the chalky limestone hills of the Serein Valley. You’ll find this region ideal for Chardonnay of the highest quality, apart from those found in Cote de Beaune. Chablis has both Premier Cru and Grand Cru wines from producers such as Francois Raveneau, William Fevre, Christian Moreau and Vincent Dauvissat. Found immediately south of Dijon, Cote de Nuits vineyards are famous for their top-quality Pinot Noir wines. You’ll find names like Romanee-Conti, Musigny, Clos de Lambrays and Clos Saint-Denis. Roughly 80 percent of wines are Pinot Noir, with the rest from Chardonnay grapes. Immediately south of the Cote de Nuits is the Cote de Beaune, running from Beaune to Chagny. While Nuits is known for its reds, Beaune is all about the whites. You’ll see Premier Cru and Grand Cru appellations like Charlemagne, Montrachet, Criots-Batard-Montrachet and Meursault. Stretching from Chagny to Montagny, this region has gentler hills with plenty of southern exposure. There are many excellent red and white Burgundys here, such as Leroy Montagny, Faiveley Mercurey and Philippe-Le-Hardi. This southern region is known for its rich but more affordable Chardonnays. Here, things are decidedly more Mediterranean in terms of climate, with earlier ripening than more northerly regions. You’ll find lushly floral Chardonnays from appellations like Pouilly-Fuisse, Vire-Classe and Saint-Veran. What makes a wine a Premier Cru or Grand Cru, and what are the other classifications? As the saying goes, it's location, location, location! The cream of the crop, Grand Cru wines, come from vineyards of the highest quality. They command the best location, with the best soils, light exposure and nutrients; as a result they represent the Burgundy wine best-suited to aging and long-term cellaring. Grand Cru wines make up roughly 2 percent of all Burgundy, and their limited supply means there's a continuous demand. These wines list the vineyard and the words "Grand Cru" on the label. Premier Cru wines aren’t their own vineyard or appellation. Rather, they come from the superior sections, called "climats," of a vineyard. These climats have proven consistency and quality, appearing throughout any given region. These wines make up roughly 12 percent of Burgundy production. Premier Cru wine labels include the name of the village and the words "Premier Cru" or "1er Cru." Some wines also include the name of the vineyard. Much more common, village wines come from specific villages throughout the Burgundy region. There are 44 village appellations, with village wines making up 36 percent of all Burgundy production. Village wines include the name of the village on the label. Finally, regional wines come from vineyards throughout the Burgundy area. Often these wines include grapes from region-specific villages (such as Cote de Nuits or Maconnais), but they can include grapes sourced from throughout Burgundy. Regional wines make up roughly 50 percent of production. The wine labels may say "Bourgogne Rouge" or "Bourgogne Blanc," or they may list a subregion of several appellations. Red Burgundy is made from 100 percent Pinot Noir grapes. The Pinot Noir grape varietal is considered native to the region, which makes Burgundy one of the best places for achieving the complexity inherent to this grape. Red Burgundy and Pinot Noir are truly one and the same here; even though Pinor Noir grapes grow in other countries, the wines they produce are never called Burgundy – the term "Burgundian style" is often used instead. Red Burgundy accounts for about 35 percent of the wine production in the region. Reds grow best in two of the five growing regions – Cote de Nuits and Cote Chalonnaise. Red Burgundy flavors often evoke rich truffles, dark cherries, licorice, berries, rose and violet florals, and bold spices. Ready to add these high-class wines to your collection? Here is our curated list of five excellent red Burgundy wines. White Burgundy comes from 100 percent Chardonnay grapes, a generations-old cross between Pinot Noir and Gouais Blanc varieties. Just like Pinot Noir and red Burgundy, Chardonnay is intimately tied to the region. If you’re looking for a white Burgundy, you’re looking for Chardonnay. In the Burgundy region, white Burgundy accounts for about 60 percent of wine production. Whites grow best in three of the five growing regions – Cote de Beaune, Chablis and Maconnais. White Burgundy reveals plenty of zesty citrus, mineral and peach notes, along with florals like acacia, chamomile and honeysuckle. If you’re more interested in white Burgundy, you’ll love our curated list of five exceptional Chardonnays. Whether or not you’re new to Bourgogne Rouge and Bourgogne Blanc, you’ll love perusing our full collection of some of the best Burgundy wines. For more detailed information or questions, just reach out to our wine experts here at JJ Buckley Fine Wines.